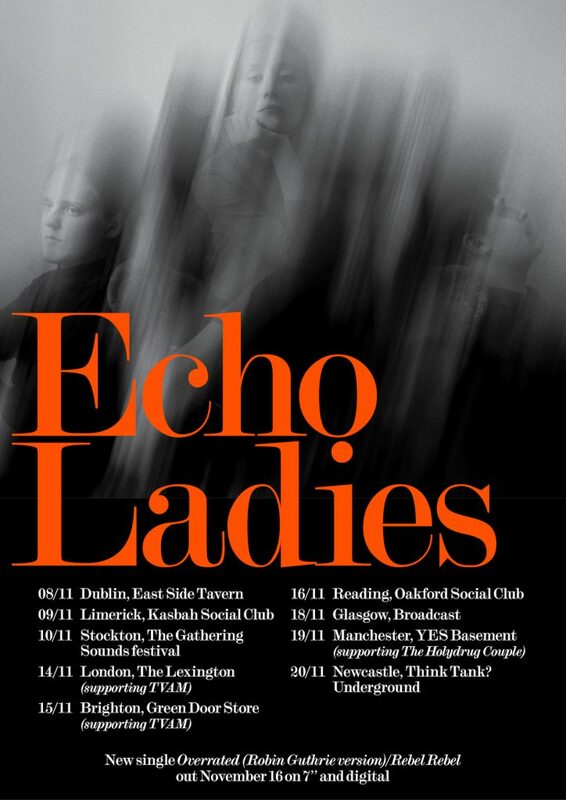 Following the release of their eponymous EP and debut album Pink Noise earlier this year, Swedish shoegaze trio Echo Ladies return with a brand new single on November 16. 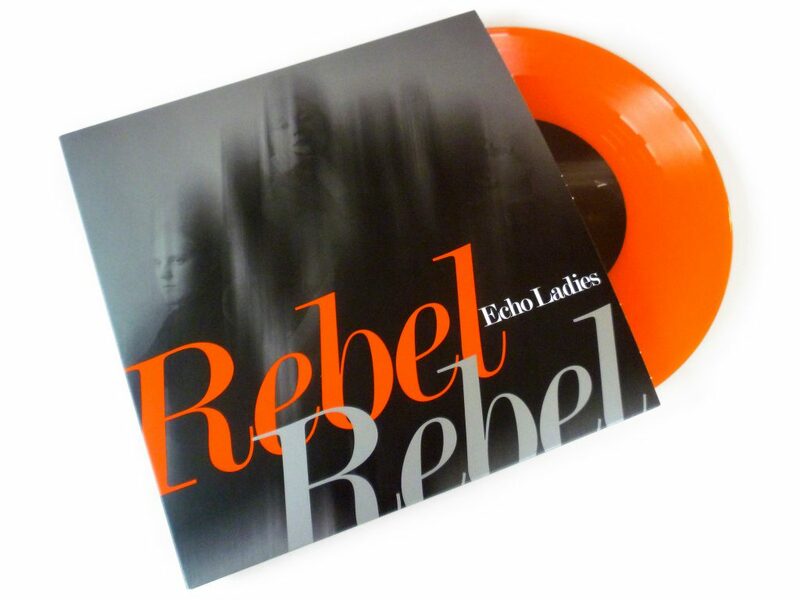 It will be available on orange or silver 7” vinyl (as well as digital) and coincides with their UK and Ireland tour. Cocteau Twins legend Robin Guthrie has taken the Disintegration-meets-slightly-out-of-focus-Saint-Etienne of ‘Overrated’ (one of the highlights of Pink Noise) and turned it into just under four minutes of classic indie-pop – like Lush, The Primitives or Strawberry Switchblade, but with a dreampop sheen. If that wasn’t enough, the AA-side features an incredible cover version of David Bowie’s ‘Rebel Rebel’ (as played at the band’s first ever London show at The Social back in April, recalled in this blog post), which the band have slowed down and hollowed out – the guitar riff replaced with a synth; the glam replaced with gloom.